If you ever smoke the Djarum Black beforehand. 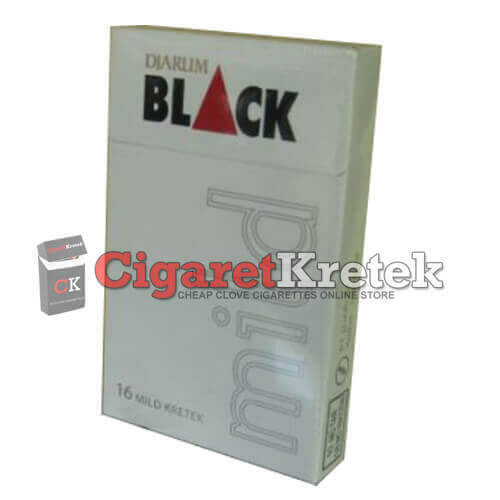 Then Djarum Black Mild is not much different tastes. Only lighter, with a content of tar and nicotine are trimmed only half. Unique, maybe one word that can represent this Djarum Black Mild. Unique in the filter. With a triangular hole as identity. Nor do I know what the function of this triangular hole. Either as a decorator, or have a special function. But, in a written label frills Double Filter. Wow, I said this is perfect. Djarum Black flavor at all is not lost. Same spiciness. In fact, I think more spicy than the Djarum Black original version. Unlike Djarum Mild, away from his brother Djarum Super. More expensive than the Djarum Black Original. But, overall price to value. Forget the box, you buy taste. 9/10. 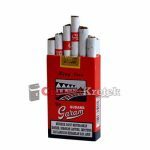 I would give 10/10 if the box so black and cigarette rods as siblings Djarum Black, Black also. Because this is the Djarum Black! I love the flavor. That sound of “kretek” when cloves are burned, its sooooo fantastic.